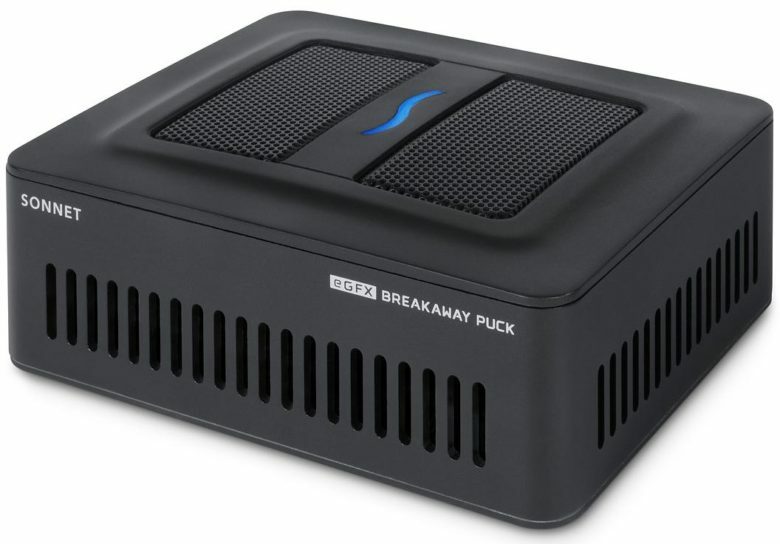 Breakaway Puck connects to your Mac via Thunderbolt 3, giving your apps access to an AMD Radeon RX 560 graphics card with 4GB of GDDR5 memory. The affordable GPU supports up to four 4K displays allowing you to create a mighty impressive workstation with an underpowered Mac. Sonnet recommends using the Breakaway Puck with the 13-inch MacBook Air, MacBook Pro, 21.5-inch iMac or Mac mini. It will work with any Mac that runs macOS Mojave and has Thunderbolt 3 ports though. Not only will Breakaway Puck work with games, but it can also give speed boosts to video editing and photography apps, plus VR creation software and anything else that relies on Metal, OpenGL or OpenCL. Best of all, you can connect multiple eGPUs together to create a super-powered system. You can grab the Breakaway Puck with Radeon RX 560 graphics at both Amazon and Apple for $400. There’s a more powerful option available with a Radeon 570 GPU available on Amazon $500.